The North American International Auto Show (NAIAS) is the global stage where companies introduce their new vehicles and give shape to the car industry. Almost 800.000 car enthusiasts visit NAIAS each year. For the press preview of this year’s edition of NAIAS, Ford wanted to impress; not only with their new Ford Mustang Shelby GT500, but also with the introduction. For this reason, they decided to use VR to introduce their new car to 750 same time. This post will explain how they did it. 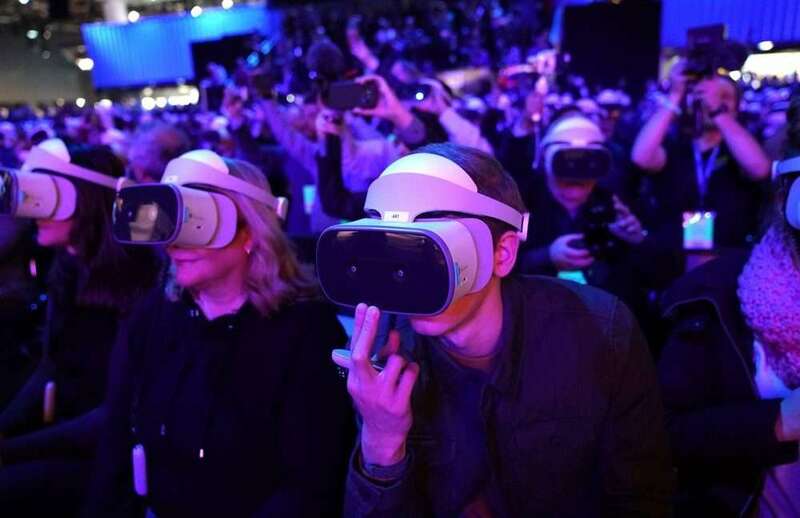 Before the video started, visitors received an introduction on stage after which they were told to pick up their VR headset (the Lenovo Mirage) from under their seat. After putting on the headsets they were introduced to the new Shelby for the first time in a virtual Detroit. A timer counted down from three to one, after which the car accelerated and raced through the streets of Detroit. The acceleration from 0 to 100 kph in 4.8 seconds surprised and excited the visitors. The camera followed the car while it sped through the virtual world, made sharp turns and stopped at a carpark rooftop. A helicopter arrived, picked up the car and brought it to the rooftop of the Cobo centre, where the event was being held. When the 360 video stopped, the car from the video was lowered from the ceiling onto the NAIAS stage. 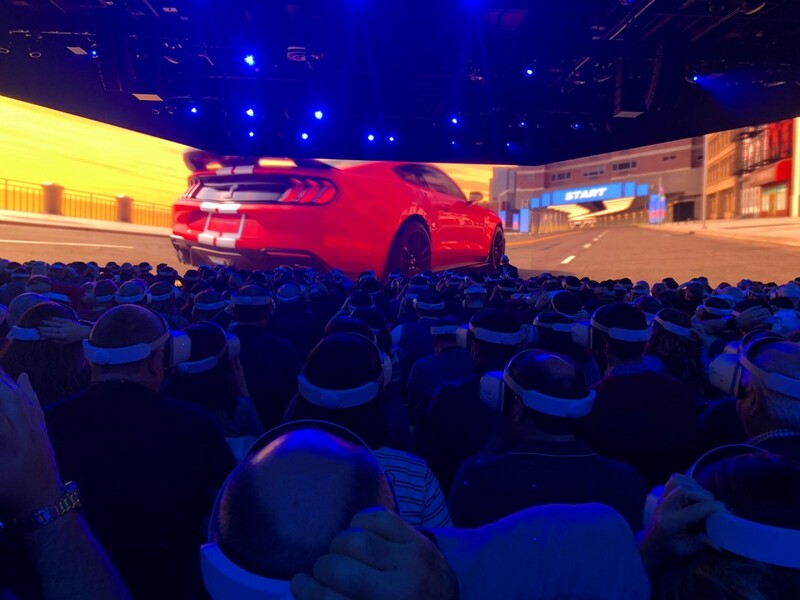 The challenge of this high-end event was the amount of headsets (750) that needed to be installed and synchronized for the press preview of Ford. The VR Sync team took care of the virtual reality part from beginning to end. The VR Sync event team already worked on the case a month before the event took place. They created a detailed planning of every step that needed to be taken and worked this out. For example, the shipping of all 750 Lenovo Mirage headsets to the event location. Two weeks before the event, the team moved to the event location in Detroit to prepare everything there. The most important aspect of the preparation was hardware management. 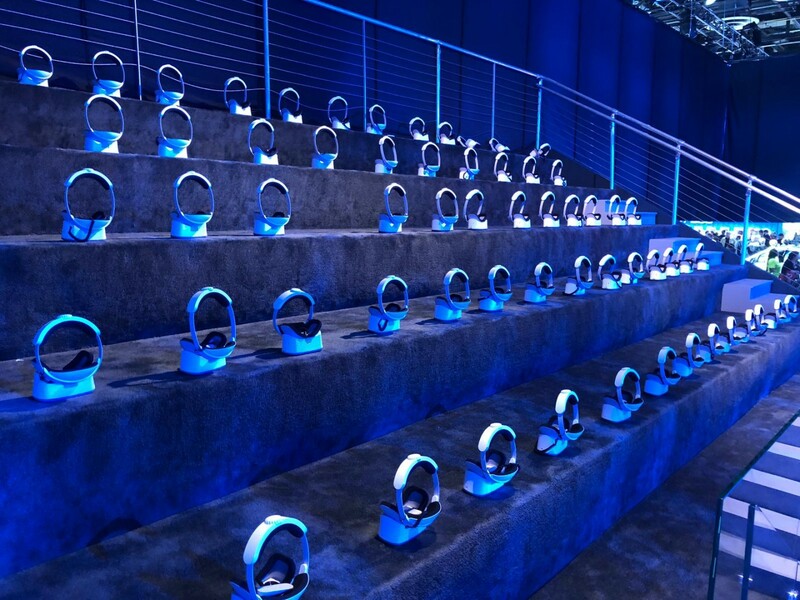 They prepared, charged and numbered all headsets at the event location. By numbering the headsets, the event team was able to monitor the status of each unit and swap them if needed. The VR Sync event team supplied the technology to simultaneously show VR to 750 people. The Ford content was loaded in the VR Sync software. This software connects an unlimited amount of headsets to one device (laptop, smartphone or special event device) without the need for an internet connection, just a local network. For this event VR Sync was integrated into the event’s Watchout system using OSC. This allowed the event organisers to be in full control; they could play, pause and stop the 360 video automatically from the show system. The last step was putting everything in place for the big show. The VR Sync event team made sure that all little details were covered and the headsets were in perfect state for the press preview. It was an ambitious choice of Ford to implement VR during the NAIAS on this kind of scale, but it worked in their favour. According to Justin Westbrook, writer for car website Jalopnik, Ford had “one of the more elaborate demos from an otherwise fairly quiet auto show”. The news channel of WDIV Local 4 called the experience “not your average car reveal”. The Mustang Shelby GT500 got an impressive introduction during the NAIAS 2019. Thanks to the reveal, even more people can dream about having such a shiny new car.